Candles completely change the ambiance of a room. The myriad of scents can drastically change the mood from tense to relaxed. It has long been known that the sense of smell can awaken memories and in turn effect our emotions. Candles have also been known to alleviate stress and combat ailments with the use of ones infused with essential oils. Whether seeking a light and airy scent or a heavy masculine flavor, candles are a great way to express your personality and ease tension. Edward Nader candles are soy based with custom blends of essential oils. The cotton wicks offer longer burning time and larger fragrance dispersement. Each candle is specially made and packages with care. 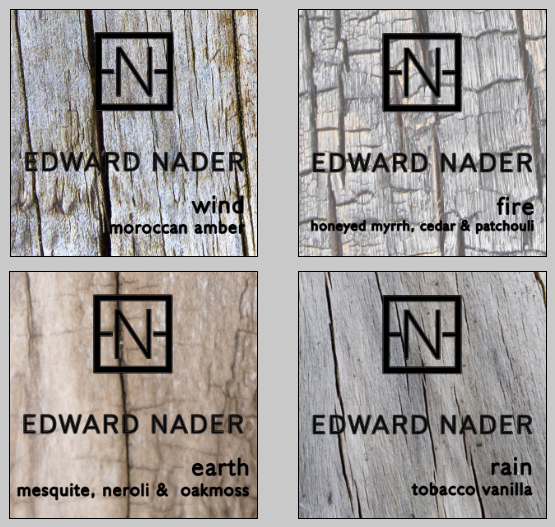 Multiple scents of Edward Nader candles are available. Adding a pleasant scent to your space can help you relax and change your mood. Soy based candles release health benefiting elements into the air, but there are no harmful toxins associated with these candle. Shop Nader’s Gallery by clicking here for your favorite flavor.